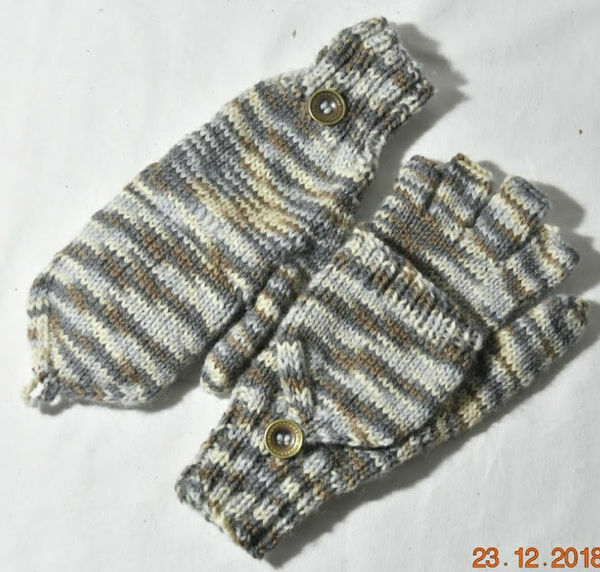 Talking to my son a few days before Christmas, (he lives in Berlin, I'm in Australia) he said that he had lost one of the glittens I'd knitted him when he 1st went over, and his hands were cold! So I dutifully knitted him another pair, and also his GF a moebius cowl. The cowl was a huge learning curve, but was also great fun, watching it grow in both directions! I used hand dyed mohair yarn, which I bought in Southern NSW, in a small town called Tarcutta, as well as some blue mohair I had in stash. The items have now arrived in Berlin, and my son and GF are very happy with them. It's time to show off! Nice work! Shipping items such as these is a real "heart in the throat" leap of faith. So glad they made it! Good show! I've got many (too many) WIPs, so it's lovely to knit something that is really rquired! wow, really pretty! Your knitting is beautiful. Love the yarn. Great work and good they arrived. 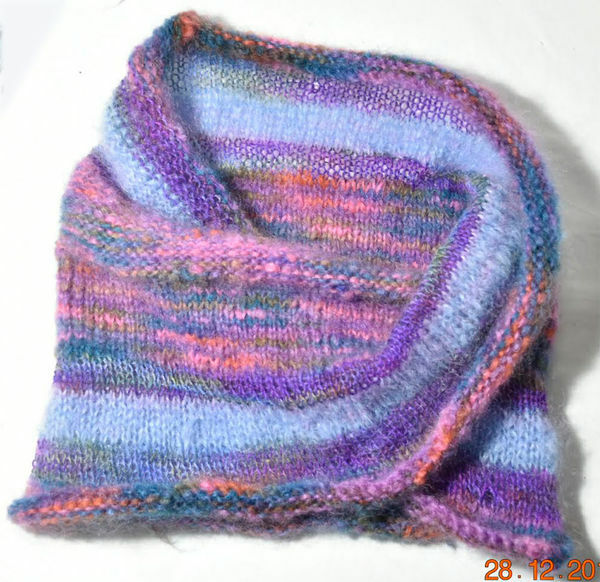 I love the colours in the cowl, very pretty. I'm a fanatical knitter, so it didn't seem like very much work, but nervewracking waiting for it to arrive! Nicely done. The Cowl colors are beautiful. Those are lovely. I'm so glad they are safely where they are supposed to be! You're a good mama! Glad the beautiful items made it to Berlin! Very nicely done. What would our kids do without their Mums? Beautiful, they should be warm and cosy now! Both beautiful, glad they made it.